EBG | Network look forward to sharing the insights and know how Morten Hedegaard, Head of Procurement Operations at Nordea. EBG have followed the progress within sourcing, procurement and finance at the bank for the past eighth years when we first learned from their know how. 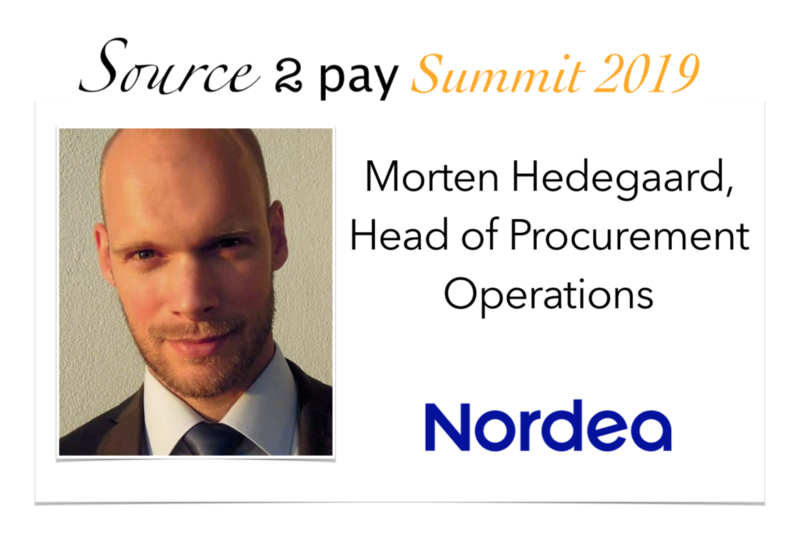 Next year, at Source 2 Pay Summit 2019, March 28th in Stockholm, you can sit down and discuss challenges and opportunities with Morten when he will share how to increase alignment between the business, procurement & finance. As the Head of Procurement Operations in Nordea, Morten is leading an ambitious journey to become the best in an industry characterized by increasing complexity, regulation, and cost focus. Morten is coming from a background as management consultant, where he has been contributing to procurement progress in many international companies. In 2010 Morten joined Nordea where he has held different leadership positions as well as program management. Nordea are present in 20 countries, including the four Nordic home markets – Denmark, Finland, Norway and Sweden. Combined, the economies of these four Nordic countries represent the world’s 10th largest economy. The shares of Nordea Bank Abp are traded on the Helsinki, Stockholm and Copenhagen stock exchanges. Nordea has about 30 000 employees. The best feedback EBG can get is learning real experience exchange took place during one of our summits. People meet and connect, continue to meet and connect and help each other grow and develop further. We do not do meetings where the only focus is on how good everybody is performing. We know all have room for improvement and the topics we discuss can be shared by all – all companies struggle more or less to ensure company spend is managed and developed as part of the overall corporate plan. We focus a lot on change management – EBG was created by Anna Bjärkerud – with a degree in behavioral science – due to the challenges all companies face when it comes to changing human behavior. And processes, technology and strategies aside – at the end it is all about people. 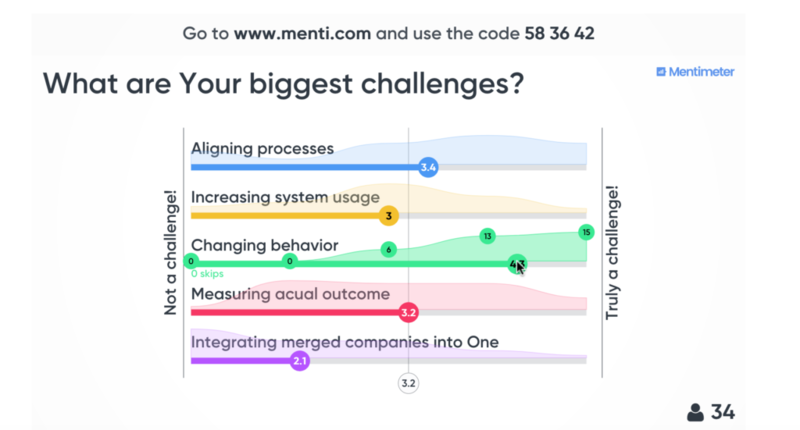 The above is a snapshot from a poll currently live at the summit website (feel free to share your experiences it is completely anonymous and you get instant feedback – win-win. The survey is found here).